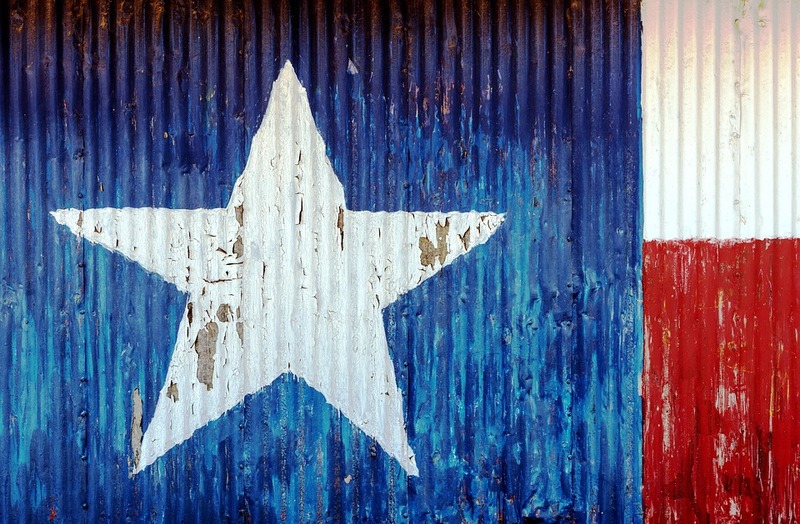 CELEBRATE “RED, WHITE, & BLUE” THIS SUMMER WITH MARRIOTT HOTELS & RESORTS’ WEEKEND STAY PROMOTION IN TEXAS! Travelers can stay Texas true and save up to 25% on Marriott, JW, and Renaissance hotel weekend stays from Memorial Day to Labor Day, 2015. Here is some information about their special promotions. Time for a weekend getaway to Texas! Everything is bigger in Texas – the fun, the culture, and the savings – making it the perfect destination for family getaways, a romantic rendezvous, or a celebratory trip this summer. 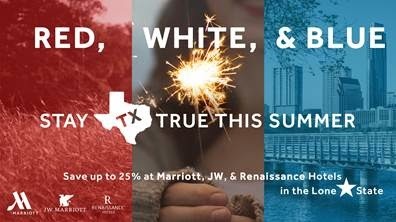 Marriott Hotels and Resorts invites Texan travelers to discover what makes the Lone Star state unlike any place on earth with the “Red, White, & Blue: Stay Texas True” summer weekend stay promotion at select Texas Marriott, JW, and Renaissance hotels. Whether returning to a favorite city or exploring a new one, guests can enjoy one night at 10% off, two nights at 15%, and three nights up to 25% off for weekend stays (Thursday-Sunday night) from the start of Memorial Day weekend (Thursday, May 21st, 2015) through Labor Day weekend (Sunday, September 6th, 2015). In addition to the summer promotion, select Marriott properties will also offer a luxurious way for travelers to cool down during summer stays with a signature “Hydration Bar,” providing guests the option to create their own flavored water with sliced cucumbers, fresh berries, lemon and lime slices, mint, and more. To learn more and book your Red, White, & Blue: Stay Texas True stay, please visit www.marriottsummerintexas.com. About Marriott Hotels: With more than 500 hotels and resorts in nearly 50 countries around the world, Marriott Hotels is evolving travel through every aspect of the guest’s stay, enabling the next generation to Travel Brilliantly. Boldly transforming itself for mobile and global travellers who blend work and play, Marriott leads the industry with innovations, including the Greatroom, Future of Meetings and Mobile Guest Services that elevates style & design and technology. All Marriott hotels participate in the award winning Marriott Rewards frequent travel program that allows members to earn hotel points or airline miles for every dollar spent during each stay. For more information, visit www.MarriottHotels.com. I like The Marriott hotel chain and I would certainly appreciate the 25% off for a weekend stay. I would enjoy traveling to Texas.